LIFE WITH MACHINE: DIY: How to install lower spring on Perodua Kancil. 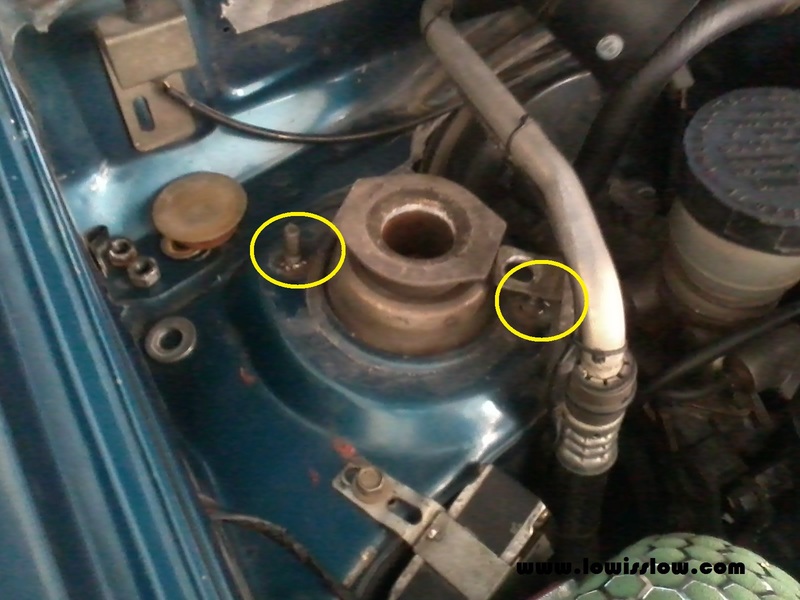 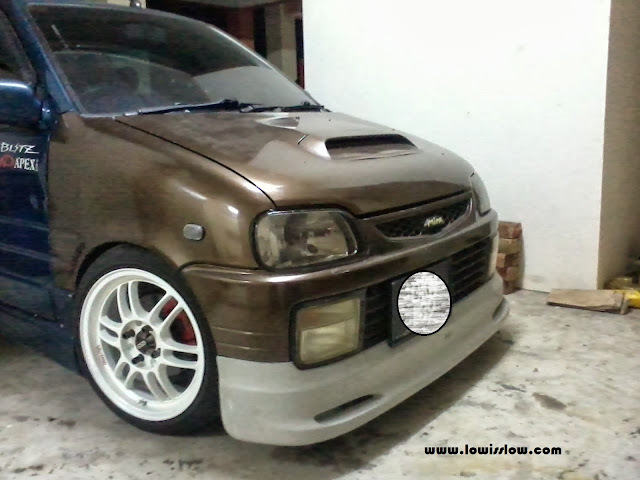 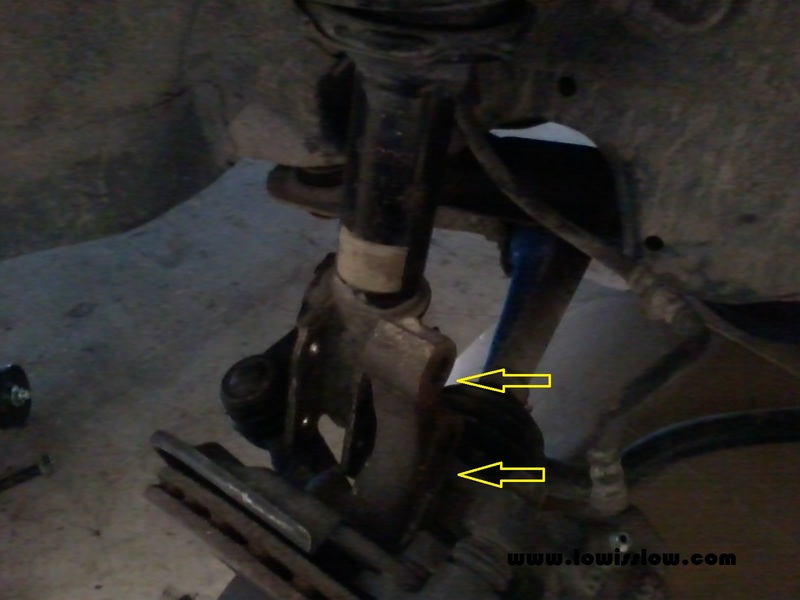 DIY: How to install lower spring on Perodua Kancil. 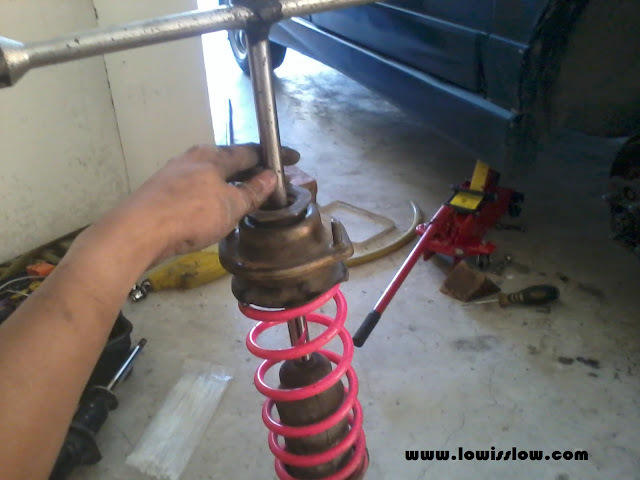 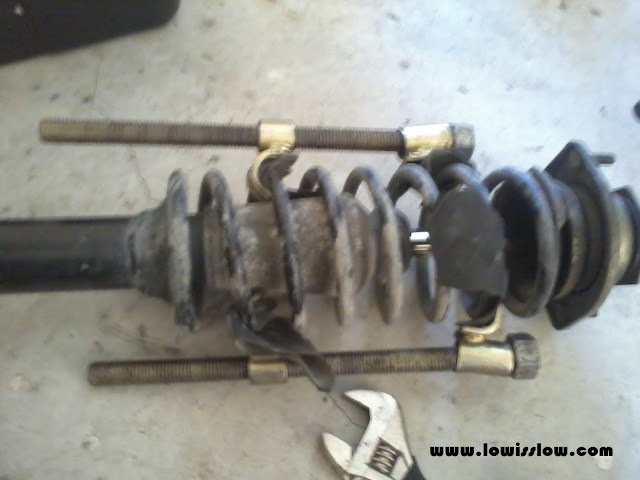 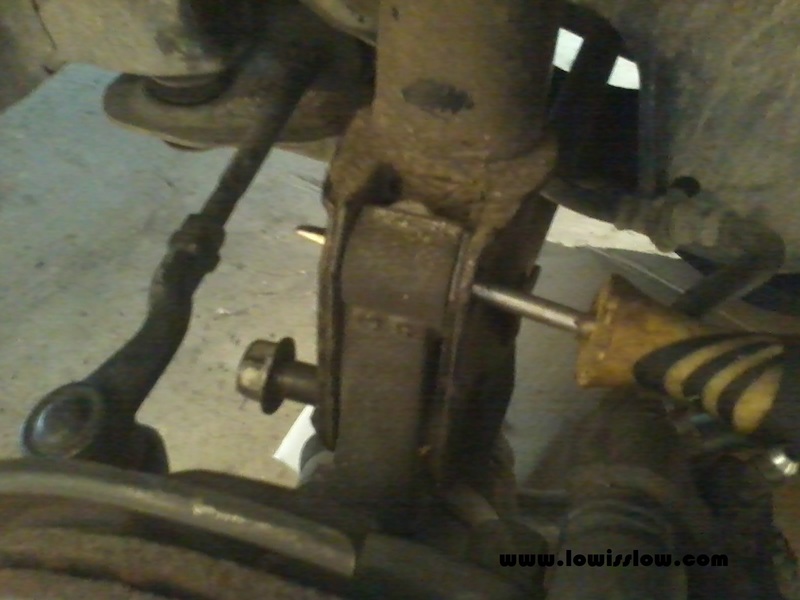 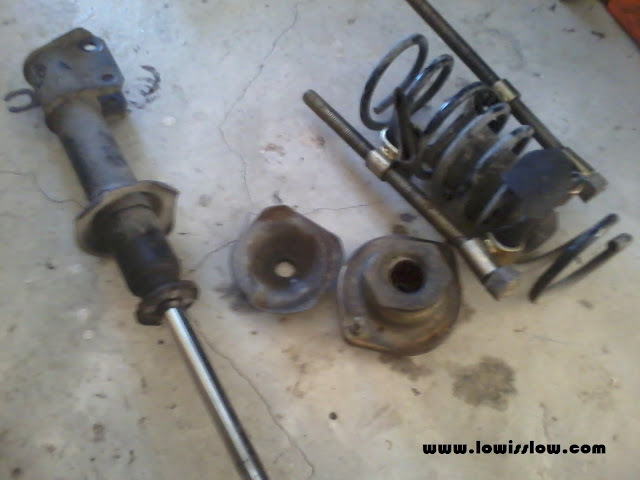 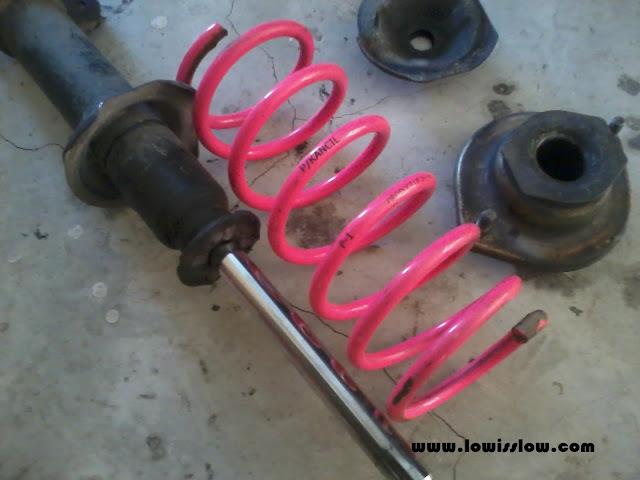 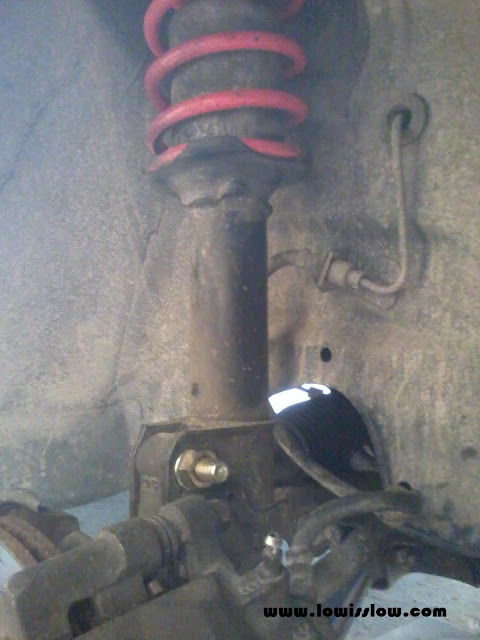 Now I will shows you on how to install lower spring to your Perodua Kancil. It is easy if you have enough tools. 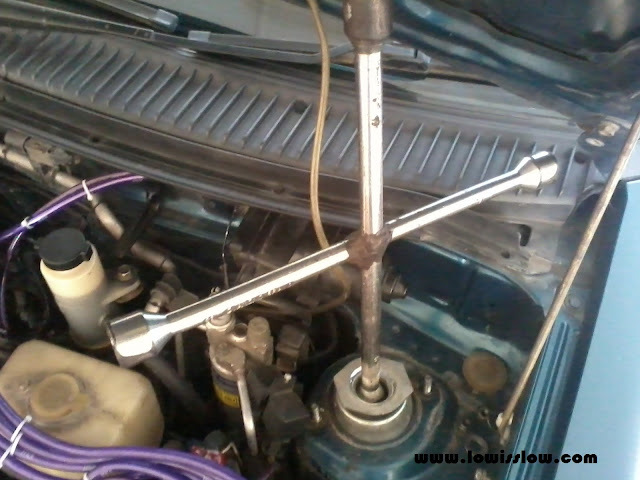 Main tools needed for this project are car jack, cross rim wrench or any wrench no.17 that can be used to remove nut as picture 1 and 2, another wrench no 17 or adjustable wrench, wrench no.12, screw driver, hammer and coil spring clamp. 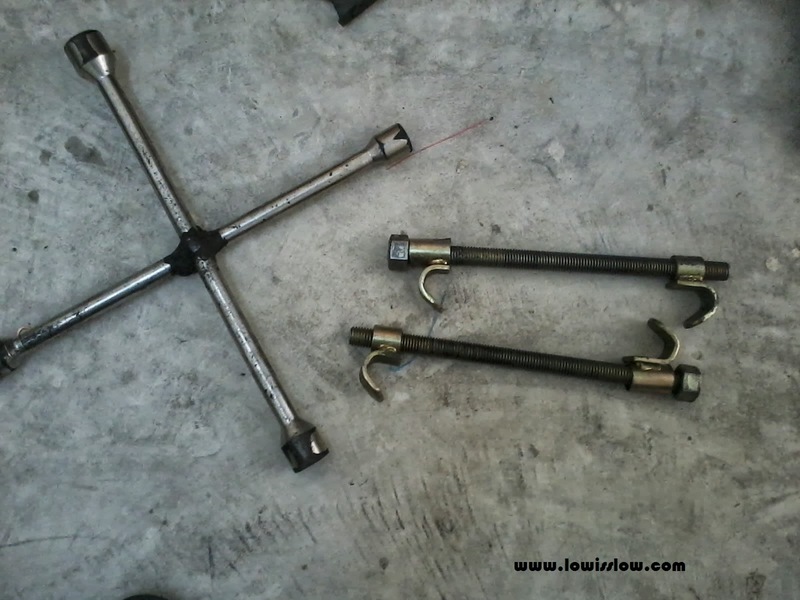 Picture 1: Tools that I use..
Picture 2: I use cross rim wrench (no.17) to do this work. 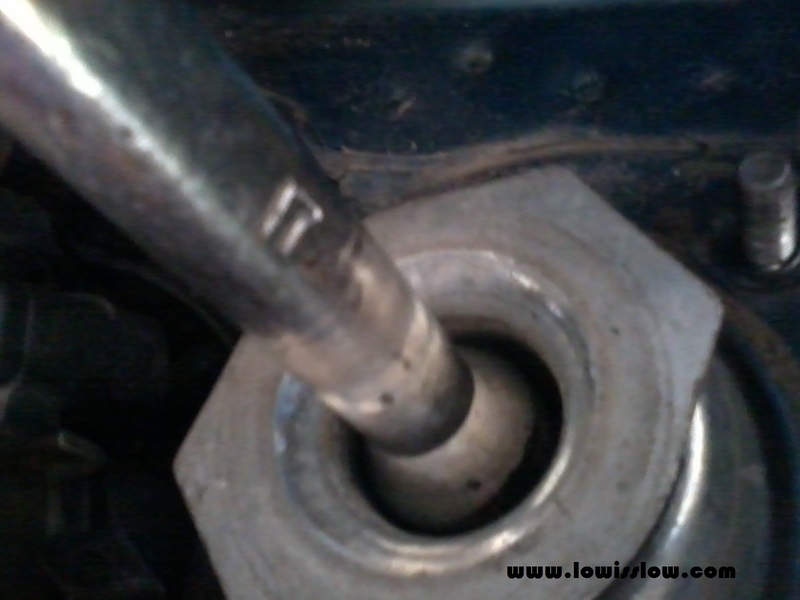 Make make sure you get this nut loosen before you can proceed to next step. 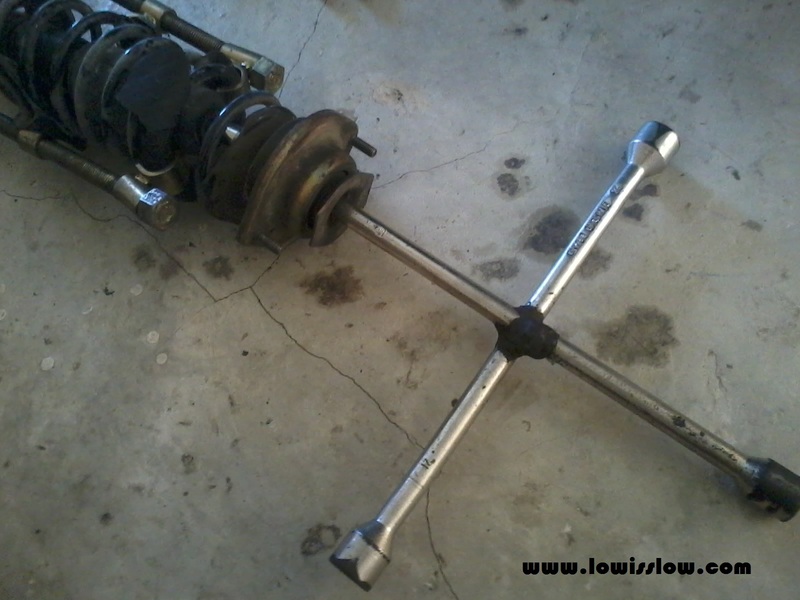 Remember, just loosen it. 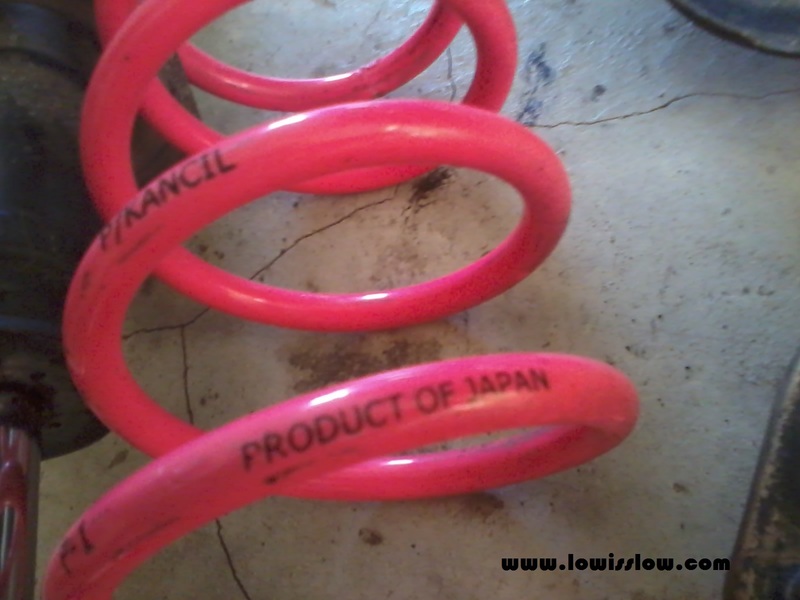 Otherwise you will be in trouble. 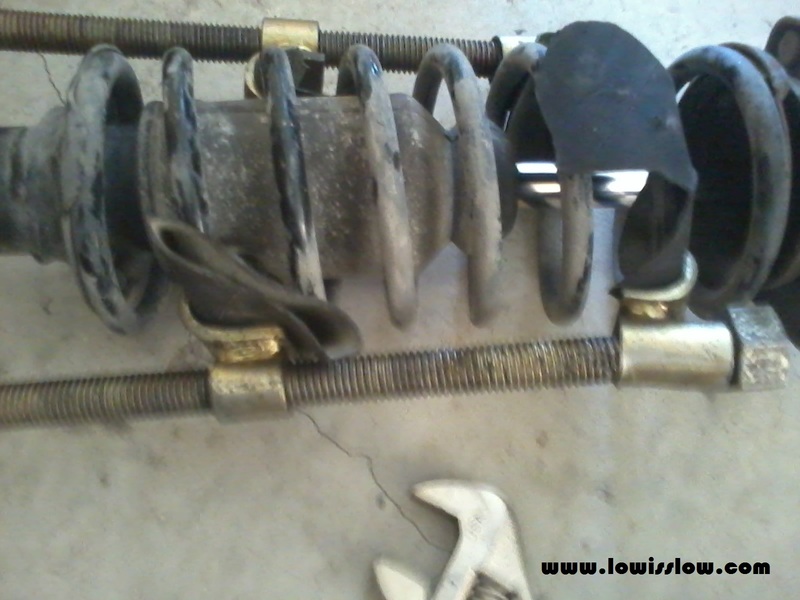 Picture 6: Use coil spring's clamp to help you to separate coil spring and absorber. Picture 13: This way to make your work easier.